Does the cork massage ball do it all? For me it does it all, or almost all. With this device, I can massage and relax practically any part of my body. This is important for me after an intense workout, a long drive or a day at the desk, for example. 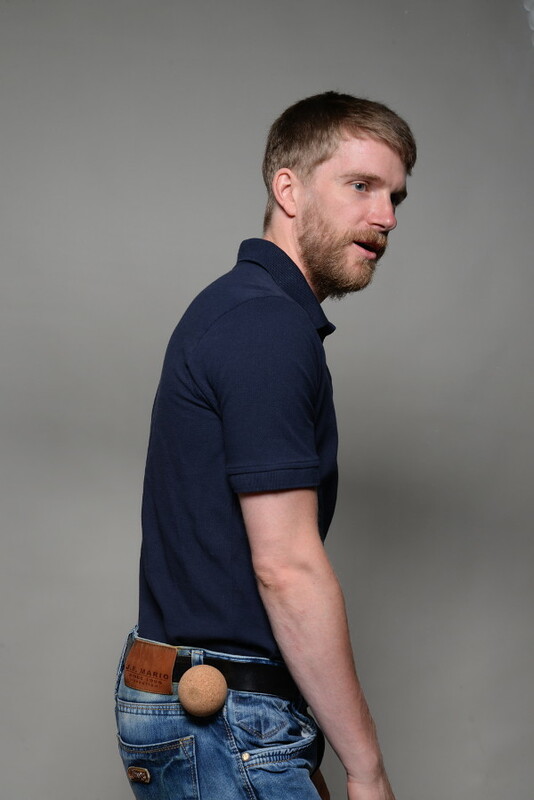 When I want to relax, I get my cork ball out of my pocket and look for a wall. Sometimes I massage myself for five minutes, sometimes for half an hour; depending on how I’m feeling. You can order the cork massage ball at the bottom of this page. Of course, I can get more done in 30 minutes than in five, but it always relaxes me. In recent years, I only used tennis and lacrosse balls for self massages because they are cheap and get the job done. I have recommended these balls to many of my friends and clients. So why a cork ball now? Honestly? There is only one reason – the material. Relative to other balls, the cork ball does nothing better or worse; however, the material makes a difference in comparison with many other massage balls. In recent years the demand for lacrosse and other rubber balls for self-massage has exploded, which has led to a deterioration in the quality in some of the balls. I have used balls that reeked intensely for months or had a “gritty” surface, which made it hard to keep using them. There is no doubt that there are rubber massage balls that are safe out there, but you never know. 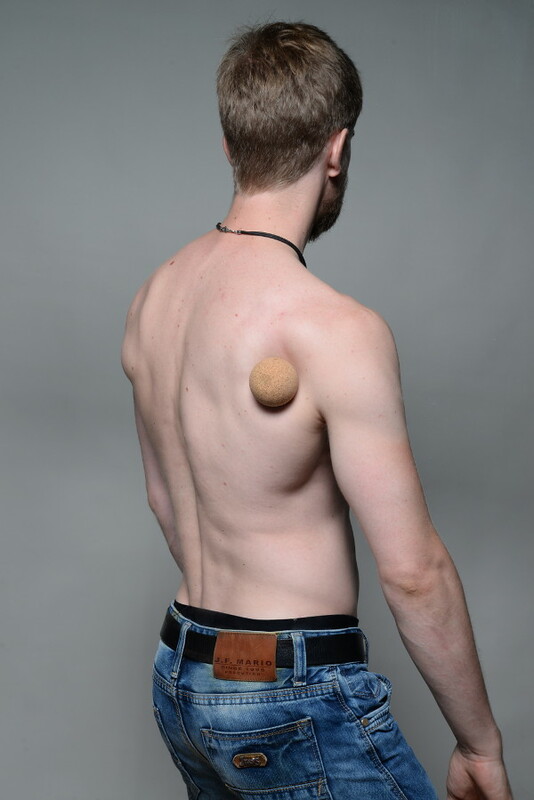 That is why I did some searching on natural products and came across the cork massage ball. It is very light, smells nice and works just as well as other massage balls. In terms of quality, it makes a good impression and is very solid. Do not get me wrong! I do not think that all rubber or plastic balls are dangerous. I have no concerns with my first lacrosse ball. Still, the cork ball provides me with a natural alternative. I simply prefer to have it against my skin than other balls. It is difficult to describe—it just feels better. The only places that you cannot get an optimal massage with the cork massage ball are the neck, lower back, abdomen and legs. There are devices are better suited here, and you can learn about them on my overview page on massage tools. Having that said, the ball is still a good option in these areas if you have no other tool at your hands. Order the ball directly at the companies store for worldwide shipping. Worldwide shipping, no matter where you live. Ships within 5 – 7 business days. Faster within the European Union. My UK readers can also order the ball at Amazon UK. If you live in the UK you can also order the ball at the companies store (link above). By doing so, you support the company even more. But you can also order at Amazon UK (link below). Amazon does NOT ship outside the UK. 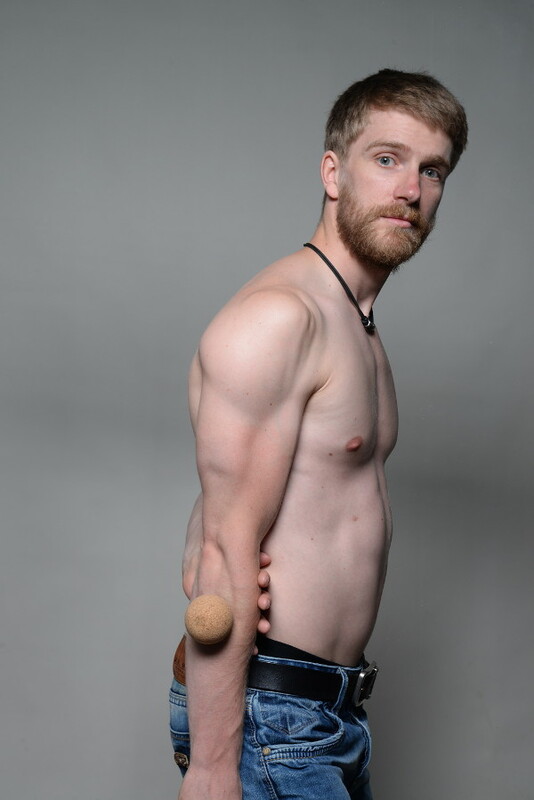 You can treat trigger points almost anywhere on the body yourself with the cork massage ball. You can use the ball for all these areas. That is, as long as the pain is muscular. Of course, the ball can also help speed up recovery after sports—or simply help relax your muscles and mind. Trigger points in the lower neck. Trigger points on the shoulder blade (scapula). Trigger points between the shoulder blades. Trigger points in the back. Trigger points in the chest. Trigger points in the buttocks. Trigger points in the forearms. Trigger points in the foot.